Picture of a bald eagle on a clear blue sky day folding it wings to fish for a salmon. 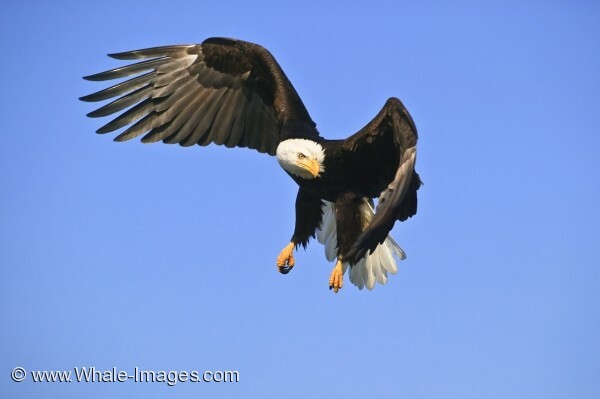 Bald Eagle, Haliaeetus leucocephalus, turning in flight. Near Homer, Alaska.